The Sumo Deadlift High Pull (SDHP) is one of the 9 fundamental CrossFit exercises that is taught in CrossFit level-1 certification. It is one of the basic forms of CrossFit exercise that focuses on strengthening the hamstrings, upper traps, glutes and the lower back. 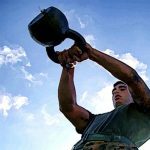 It involves placing the feet wide apart in a Sumo stance and then lifting a heavy bar or a kettlebell, pulling it up from the shins to almost touching the chin. It is a form of exercise that impacts more towards the hips and the core, rather than the arms. The proponents of this exercise claim that it is a great way to improve full-body-coordination and reinforce explosive hip extensions. However, there are many opponents of the Sumo Deadlift High Pull who also claim that if done improperly, the rapid movements of the shoulders along with the awkward stance while performing the exercise, is bad for the shoulders and could result in an injury. They also consider the word ‘deadlift’ in SDHP as misleading as deadlifts are more focused on pulling, where as SDHP is more focused on the core and the momentum of the hips. They agree that though it can be a good form of exercise for explosive hip extensions or can be used as an alternative to deadlifts for players who are injured, there are better alternatives to it, such as snatchpulls and cleanpulls which are safer and much more effective. 1 How do you pull off a Sumo Deadlift High Pull? 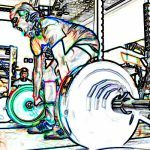 4 Why Sumo Deadlift High Pull is not considered safe? How do you pull off a Sumo Deadlift High Pull? Stand with your legs wide open with toes slightly pointing outside. Place the thumbs of your hands outside the center of the bar, to hold. Your hips should be above the knees, while keeping your back tight and upright and shoulders at level or above the bar. Lift the bar from the ground using your muscle power with push from your heels. Extend the hips as much possible. Begin the shrug without decreasing the speed at which you lift the bar. Keep your arms straight with elbows high and pointing outside the body. You complete the movement when you bring the hands to chin level and elbows to the ear level. While putting the bar down, extend the arms, relax the shrugs, and push back the hip to the starting position. Given the complex movement of the entire torso, one requires tips to carry out the technique safely. Safety is the primary concern of all practitioners and their coaches. Have patience on bending of arms until the bar reaches your hip, and maintain a vertical torso. Rushing through the act might cause some severe nerve or muscle damage. The intricate movement of Sumo Deadlift High Pull builds up enormous power in the posterior part. The regular practice of this movement involves the strengthening of the hamstrings, gluteus muscles, and lower back and upper traps. 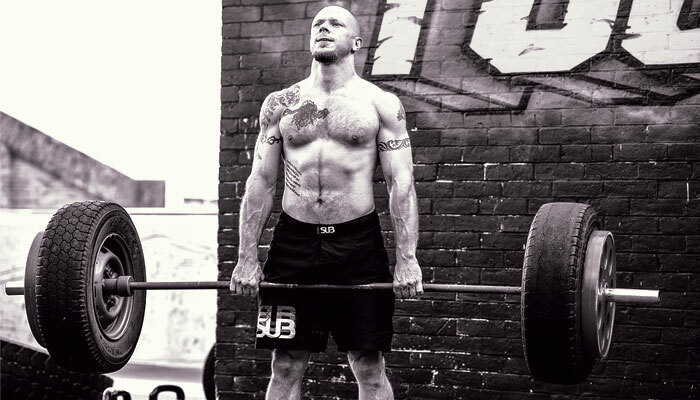 The movement, however basic, to pass CrossFit Level 1 certification, generates tremendous power. It enhances the muscle power and athleticism to a great extent. You should try to skillfully master the art of practicing Sumo Deadlift High Pull, without damaging any part of your body. A strong and flexible muscle ensures ease of movement and reduces the risk of injuries. It gives greater independence to our being, and more freedom to carry out your daily activities. An improved upright posture gives the body an overall fitter and leaner look. Sumo deadlift high pull is what is known as a compound total body exercise, that is, it targets a wide range of muscle groups in the body and works across numerous joints. 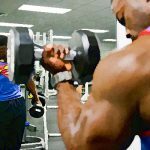 Primarily, it focuses on strengthening the following muscle groups – biceps and forearms, hamstrings, gluteals, quadriceps and the back. 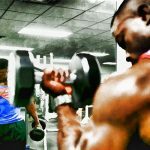 These muscle groups make up the posterior chain of the body and performing the SDHP helps in increasing strength and hypertrophy in these areas. Metabolic conditioning, or MetCon, involves a high work rate which helps in burning calories both during and after the workout. Sumo deadlift high pull can be easily included in a metabolic conditioning workout regimen to increase muscle endurance and calorie expenditure. Last but not the least, sumo deadlift high pull acts as an excellent rehabilitation workout for people recovering from a back injury. Despite its benefits, sumo deadlift high pull continues to remain a controversial exercise due to its inherent safety risks. If one fails to maintain the correct form while performing this move, he may end up injuring his back or his shoulders. Therefore, one should evaluate the risks involved and ensure the presence of a professional before trying out this move. This debate, even today, remains a favorite topic of discussion among sports enthusiasts. Deadlift focuses on the raw, brute power of your body, to build your strength and muscle. However, the Sumo Deadlift High Pull and the Conventional Deadlift have their differences. While the Sumo Deadlift involves hips, gluteus muscles, and legs to initiate the pull, the Conventional Deadlift has a more equal balance between lower back and hamstrings. An electromyography study reported that 16 different muscle sites are fired during the Deadlift movement. The range of motion, however, is shorter in Sumo Deadlift as compared to the Conventional Deadlift. 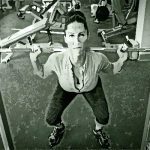 This compels some skeptics to consider Sumo Deadlift much easier than traditional Deadlift, as the former allows your hips to stay closer to the bar. Conventional-DeadliftThe major variation between the two workouts is the difference of pressure they put on the spine extensors. The Conventional Deadlift calls for a 5 -10% greater lean of the torso than Sumo Deadlift. The lean of the torso is directly proportional to the spinal flexibility of the arm. The leaner the torso, more difficult it is to remain in a neutral position for long. This becomes a bone of contention between the debaters, who exemplify the above example to drive home their point that Sumo Deadlift is easier. Another requirement of the Conventional Deadlift is to keep the shins, vertical. The pressure on the knee extensor is not a limiting factor. On the other hand, Sumo Deadlift has more knee flexion in comparison. The Conventional Deadlift requires approximately 40% more mechanical work, than Sumo Deadlift. The greater distance the bar travels, leads to the generation of more mechanical energy. Hip anatomy and mobility play a crucial role in defining the difference between Conventional and Sumo Deadlift. 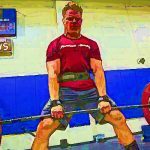 Why Sumo Deadlift High Pull is not considered safe? There are people in the fitness community who do not condone to this movement-based exercise and find it too risky. Their contention is that too much pressure is exerted on the hips and the spine and that it really does not add much value to the core muscle group. The return for such a high-risk maneuver is minimal and this exercise can be replaced by more stable and safe methods. However, the counter is that most athletes or practitioners of this exercise do not do it properly. The reasons could be myriad. Lack of knowledge and training is the most common. Other reasons are the lack of authorized supervision or plain fatigue. Moreover, given the sensitivity of the areas this exercise acts upon, it is easier to figure out why most suffer from injuries, at times, debilitating ones. 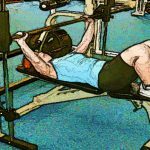 In simple terms, this movement is about using the brute force generated from hips, to push a loaded bar, up to your chin, while holding the bar with your arms. Doing the stunt incorrectly, may lead to grave injuries and damage. More often, the athletes and sports enthusiasts practice the movement without any expert supervision. Lack of proper training, absence of supervision, and fatigue often leads to a serious nerve, ligament, or tissue and muscle damage. In the whole process, Sumo Deadlift High Pull gets a bad name. Athletes already struggling with injuries prefer practicing Conventional Deadlift instead of Sumo Deadlift. The former is a pull while the latter focuses on complex movement oriented around strength. Some skeptics often bat for other forms of exercises like push-ups, squatting, shoulder press and pulling, to groom prospective athletes. 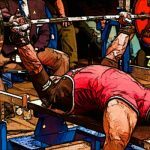 While they may go to the extent of practicing Conventional Deadlift, however, they are reluctant to advise Sumo Deadlift. Sumo Deadlift High Pull can be an enormous power booster when practiced by a healthy person, under strict supervision. On the contrary, the same movement can lead to disaster, if practiced incorrectly. The practitioner, as well as the supervisor, need to be extra careful and take special precautions, if they wish to pull off this stunt, safely and successfully. At the end, it is one of the many controversial forms of exercise that plagues the CrossFit movement.